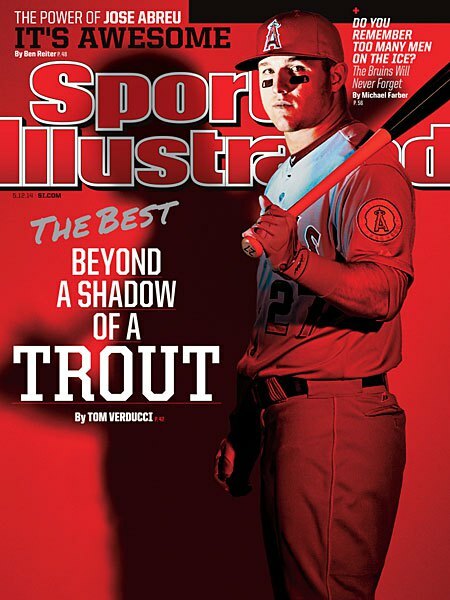 -The Tom Verducci Sports Illustrated story about Mike Trout. -A solid ten minute conversation about Trout’s 2014 season, and the spoiled brat fantasy owners who complain about it. -Comparing Yu Darvish, Masahiro Tanaka and other Japanese pitchers. -How many home runs will Jose Abreu hit this year? -What is wrong with the Royals? -Thoughts on the NL Central, NL West, NL East. –Madison Bumgarner’s snot rockets (nice find, Mike)… and Yasiel Puig takes him deep during the show. If you like baseball you’re going to love tonight’s show.